Muffins are one of my favourite snack foods. 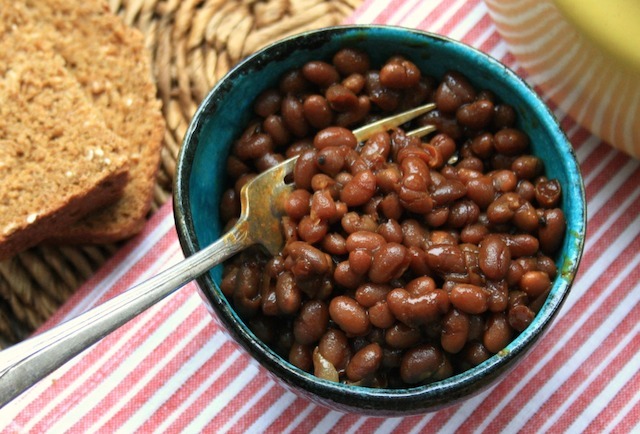 They can be wholesome, filling and are easy to grab when you’re on the run. 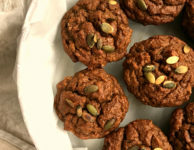 This free eBook includes what I consider to be our 20 best muffin recipes. 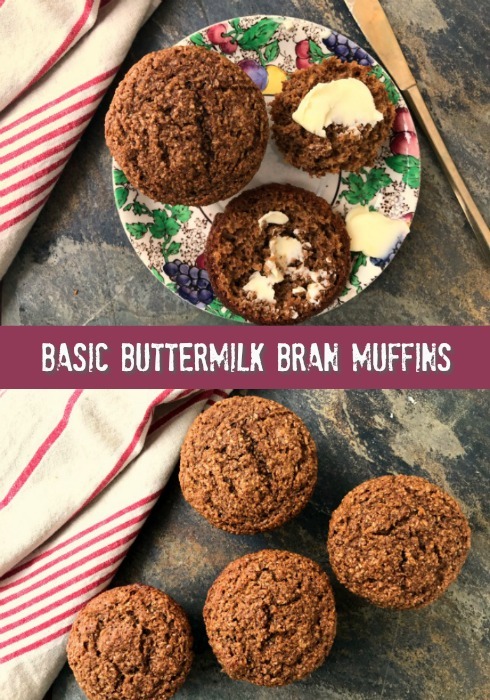 This updated Muffins eBook includes some of our newest favourite recipes, but I was sure to include my old favourites too, like the blueberry wheat germ muffins and refrigerator bran muffins from my childhood. 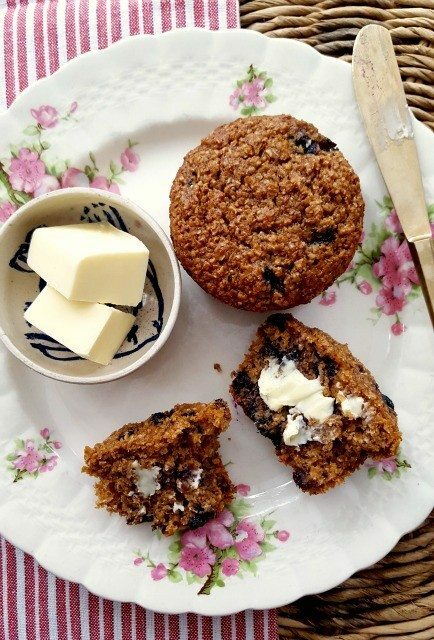 All in all I consider these to be our 20 best muffin recipes. 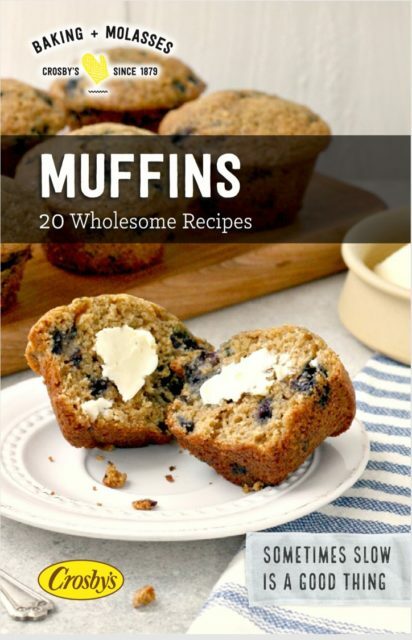 Among the 20 muffin recipes in this new eBook you’ll find recipes for bran muffins, blueberry muffins, banana muffins, carrot muffins, zucchini muffins and more. These are well tested recipes that have become readers’ favourites too. 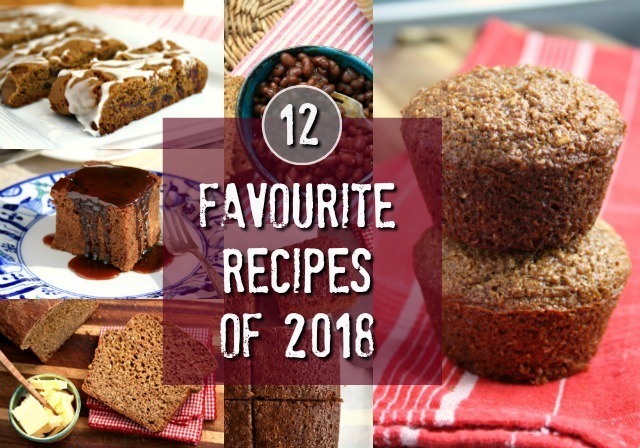 These are my top 20 favourites, and the recipes that I have shared time and again. Download the free Best Muffin Recipes eBook here. 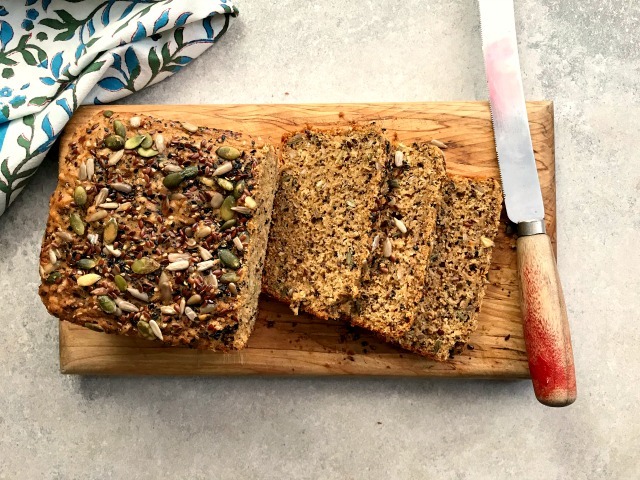 Four-Seed Oatmeal Quick Bread is a satisfying, wholesome bread that is delicious as a snack or alongside a main dish meal. 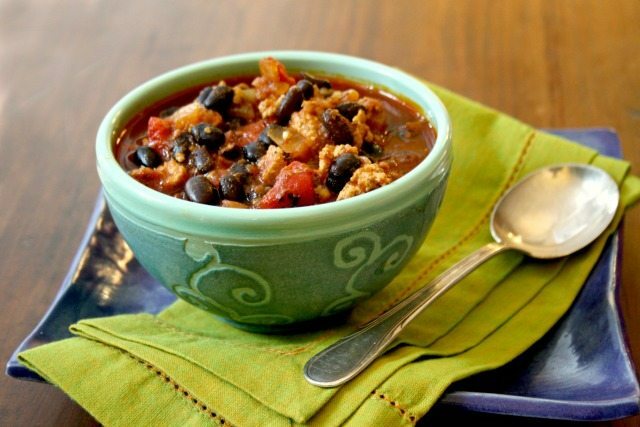 Think of it as a substitute for muffins or a replacement for biscuits or cornbread with chili, soup or stew. 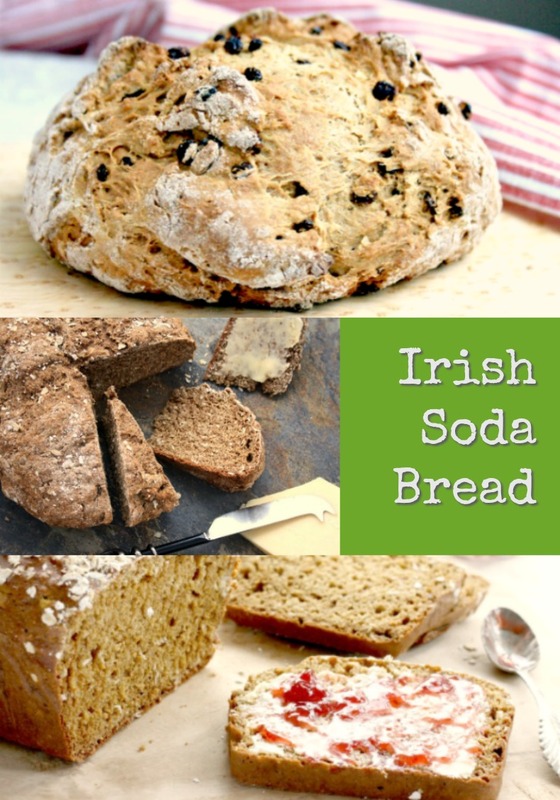 In this slushy month of March I’m still in comfort-food mode and that includes wholesome breads that are nourishing and filling. 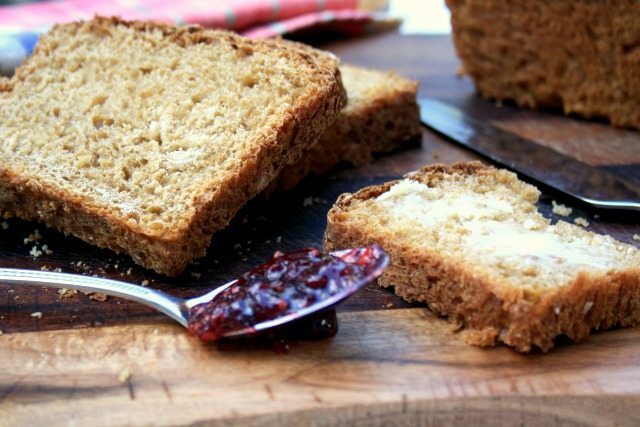 Four-Seed Oatmeal Quick Bread fits the bill. 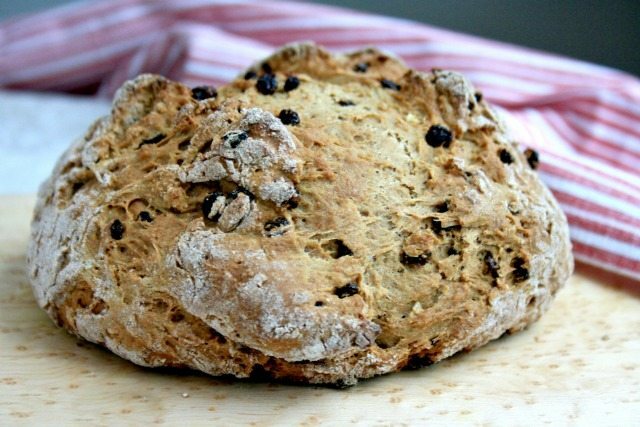 I have enjoyed it with butter and jam for an afternoon snack, and I have eaten it alongside a hearty lentil soup. 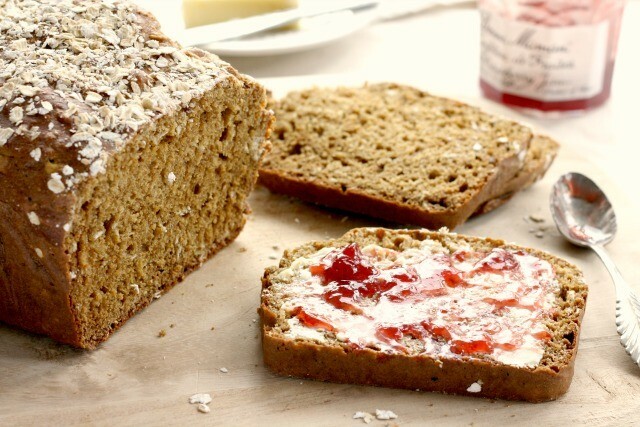 Four-Seed Oatmeal Quick Bread is versatile — barely sweet and filled with texture and flavour. Feel free to change up the seeds called for in the recipe. I have used black sesame seeds on occasion, and poppy seeds. Also, the recipe calls for the seeds to be toasted for added flavour but you can skip that step if you like. 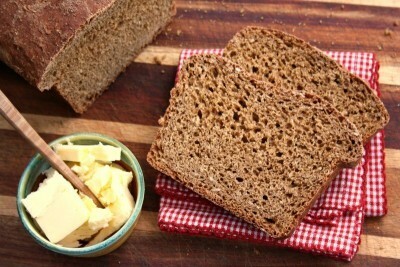 This bread is best eaten within two days. 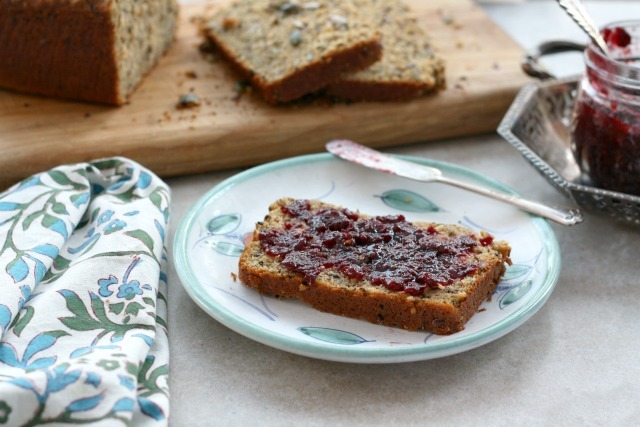 Store it on the counter tightly wrapped and if you still have some left after day two it is delicious toasted. 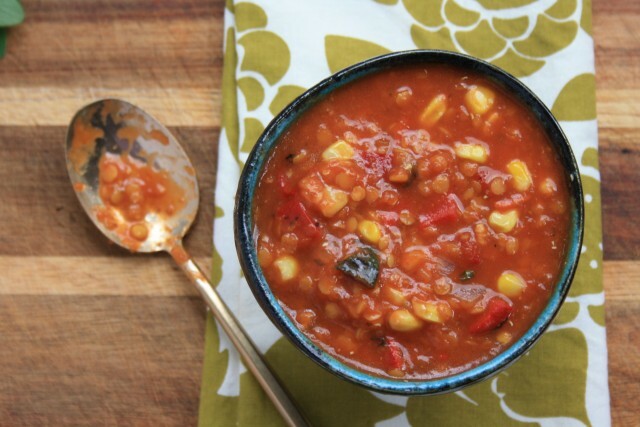 This recipe is slightly adapted from Eating Well. Line a large loaf pan (9″x 5″) with parchment paper and preheat the oven to 350 F.
Lightly toast the seeds in a large skillet over medium heat. Watch carefully so they don’t burn. In a large bowl, combine the flour, baking soda, salt and baking powder. Stir in the toasted seeds. In another bowl whisk the eggs with the oil then whisk in the buttermilk, rolled oats and molasses. Add wet ingredients to dry and stir gently until just combined. Scrape into prepared pan and bake for 50 min to an hour. Let cool on a rack for 15 minutes then remove from the pan to finish cooling. 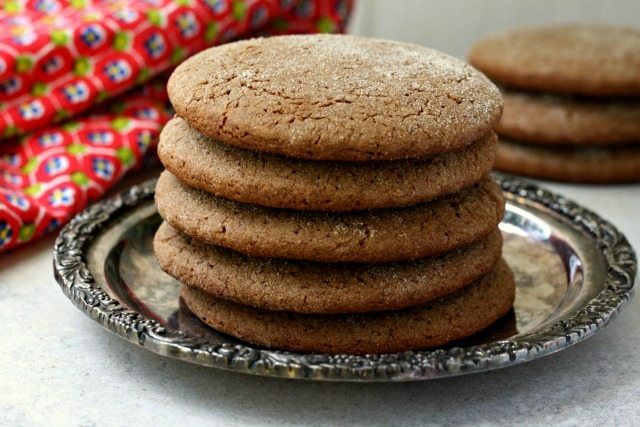 Cape Breton Molasses Biscuits are old fashioned, not-too-sweet, thick-cut molasses cookies. A little while ago, writer and photographer Kelly Neil wrote a lovely piece in the Halifax Chronicle Herald about two Cape Breton grandmothers. 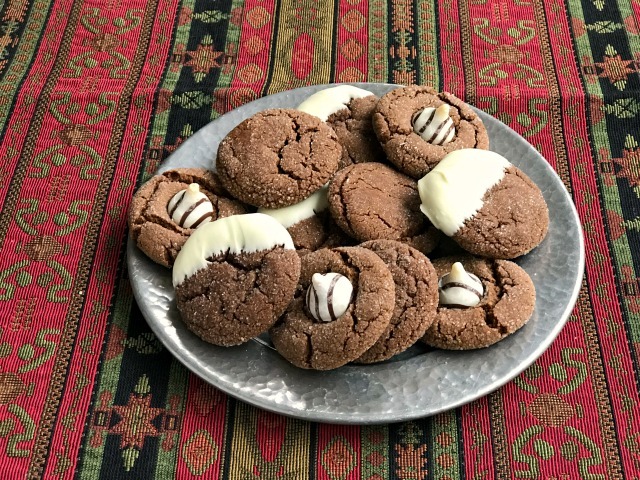 As you may have guessed (or assumed) an East Coast article about grandmothers is bound to include memories of fresh baking and time around the table. 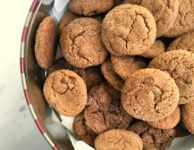 As an added treat, this article included an old fashioned recipe for molasses biscuits, a not-too-sweet, thick cut soft molasses cookie. 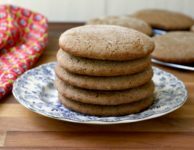 The recipe is very similar to our recipe for Katie’s Fat Molasses Cookies, Lassy Buns and Pubnico Molasses Cookies. 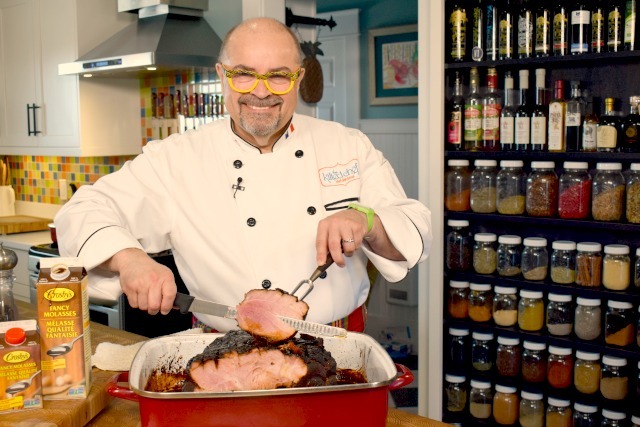 It shows how recipes can travel from place to place, gathering new stories over time. My version below includes a couple of slight modifications to the original recipe as it was printed in the paper. I replaced the shortening with butter and doubled the amount of ginger. The dough is quite soft but resist the urge to add too much extra flour when you’re rolling or patting them out. 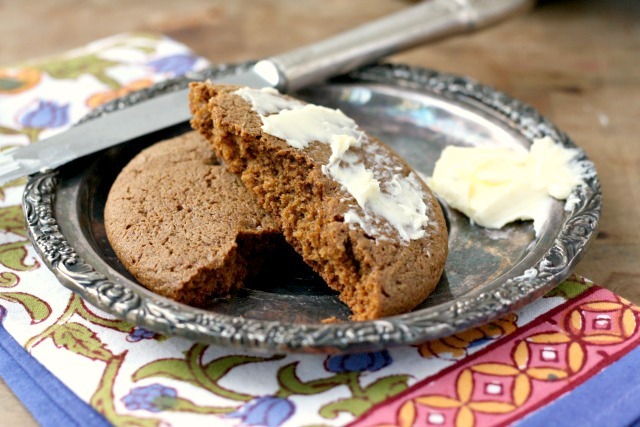 Cape Breton molasses biscuits are good served with butter, peanut butter or a slice of cheese. *To sour the milk: Add 1 Tbsp. vinegar to ½ cup measuring cup and fill with milk. Let sit 5 minutes until it curdles. Beat in the egg, then the molasses and milk. In a separate bowl whisk the flour, baking soda, salt and spices. Stir dry into the wet mixture in two additions (don’t over mix). Scrape dough onto a lightly floured surface and roll ½” thick. Cut into rounds and prick with a fork. Bake 16-18 minutes, until the tops just bounce back. 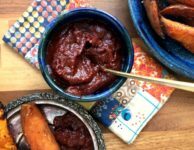 If you crave comfort food then you’ll love our top molasses recipes of 2018. 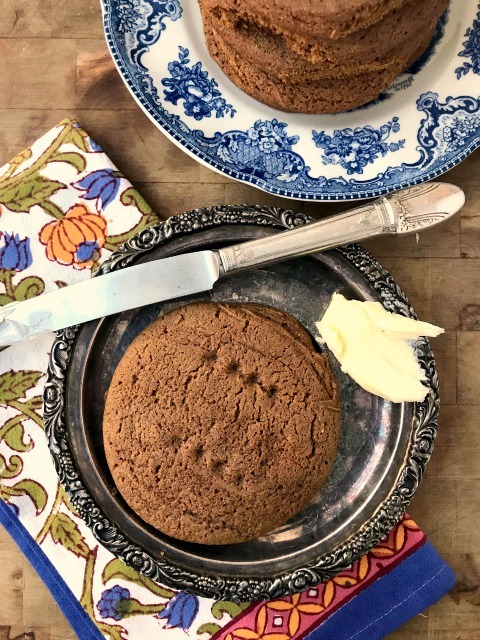 Muffins, gingerbread cake, baked beans and brown bread all top our bakers-dozen of most-viewed recipes on this website in 2018. 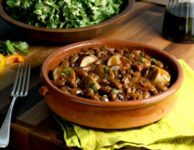 When I tallied the most popular recipes on this website for 2018 the list looked vaguely familiar. That’s because all of the recipes, save one, were on the Top 10 list for 2017, and many were on our Top Recipes for 2016. 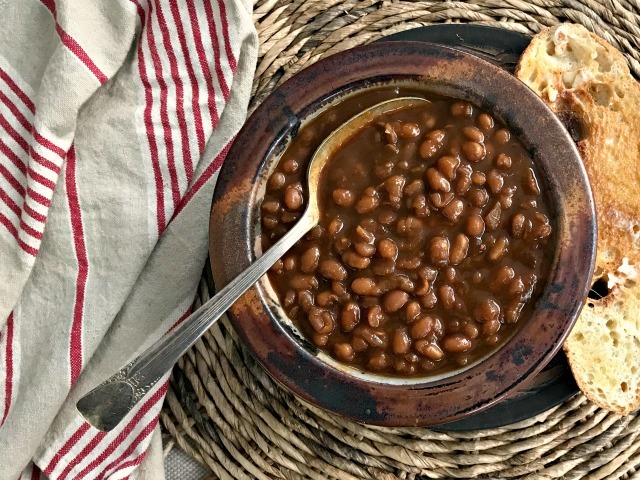 It just goes to show that when you’re craving old fashioned comfort food, you’ve come to the right spot. 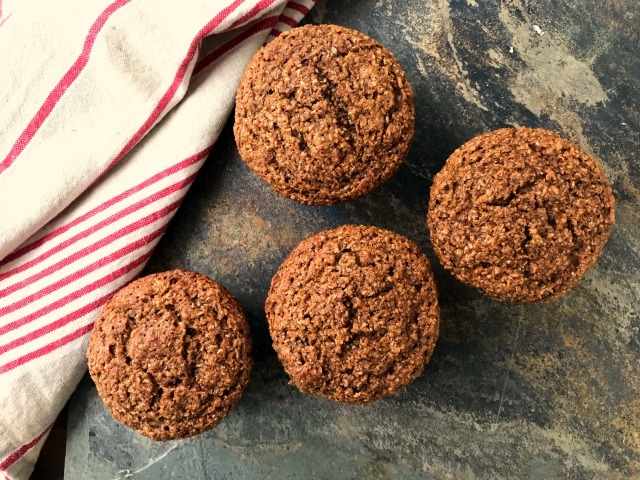 This light-textured bran muffin recipe is made with natural bran and buttermilk. 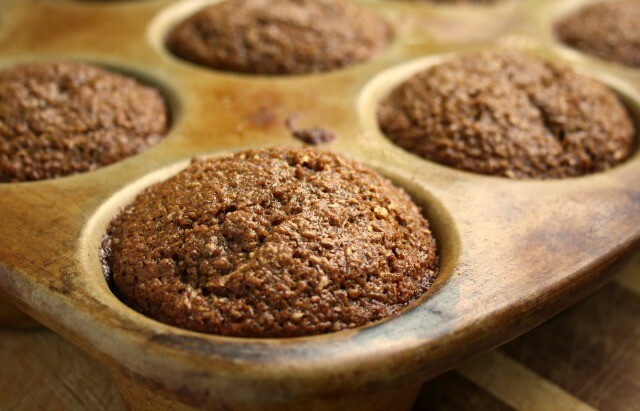 Store the batter in the fridge for fresh muffins whenever the craving strikes. Another old recipe that I grew up with. 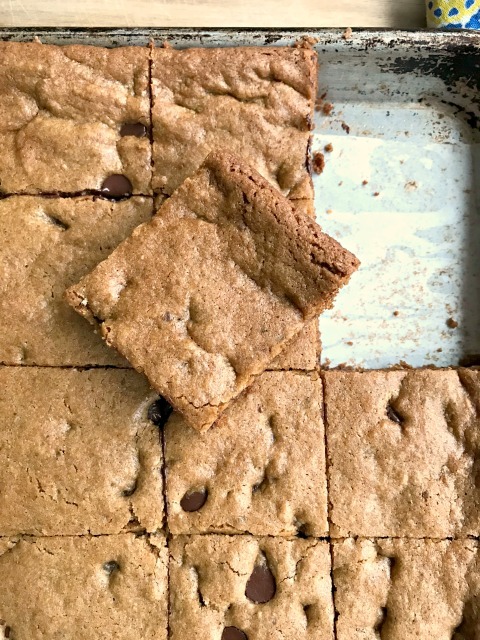 It is the closest thing to hermit bars that we sometimes treat ourselves to at a local bakery. 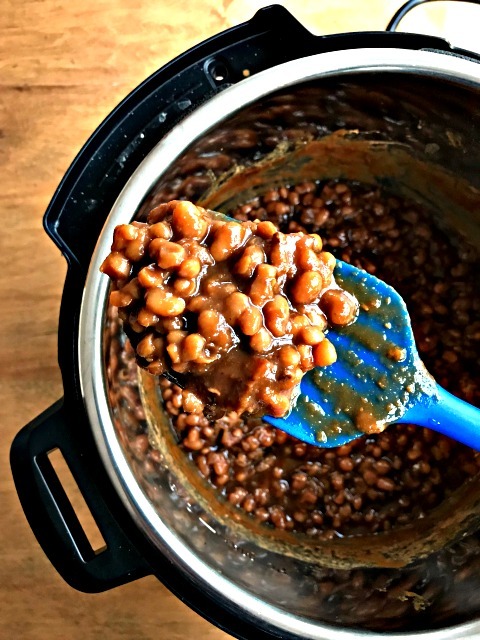 This easy recipe is made in a 9″ x 13″ pan so can feed a crowd. When it comes to choosing a favourite gingerbread recipe it’s a toss up between this recipe and the one-bowl gingerbread above. The recipe is from the wonderful Laura Secord Canadian Cookbook. 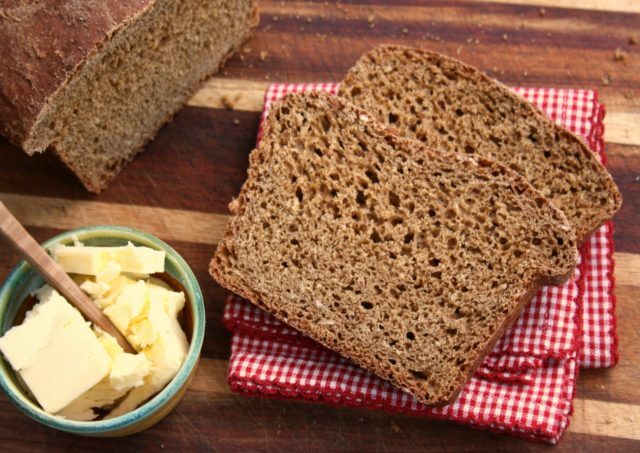 There’s nothing like a chewy oatmeal brown bread. 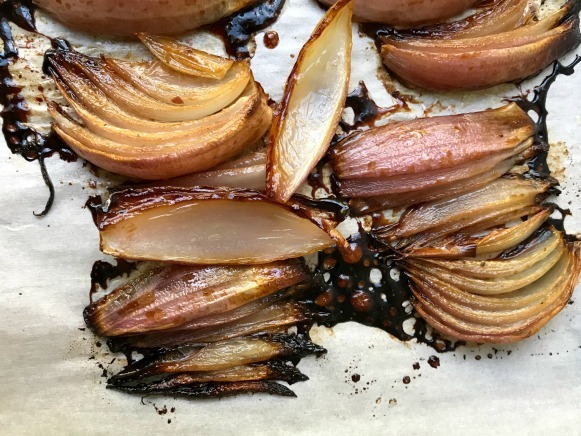 This recipe was contributed by a reader so you know it’s a keeper. 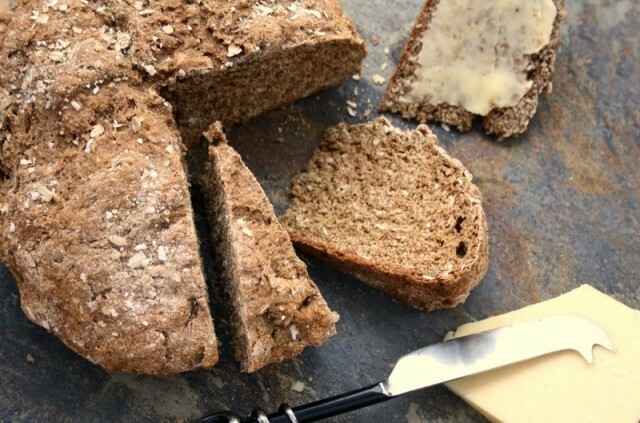 You can never have too many recipes for a good oatmeal brown bread. 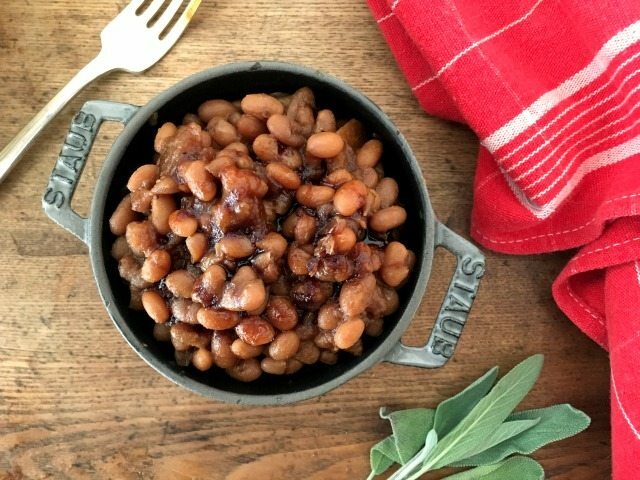 This is another recipe I grew up with and ate most Saturday nights with baked beans. 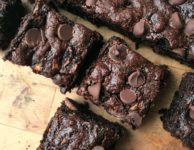 This recipe is decadent and not too heavy on the date flavour. 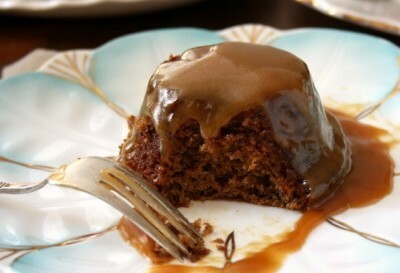 The texture is lovely and you can’t go wrong with the caramel sauce. Tuck this recipe away for a special occasion. 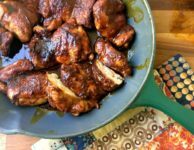 When I was little my mom would make this recipe with whatever ribs she happened to find at the grocery store – pork or beef. The recipe works well with either. 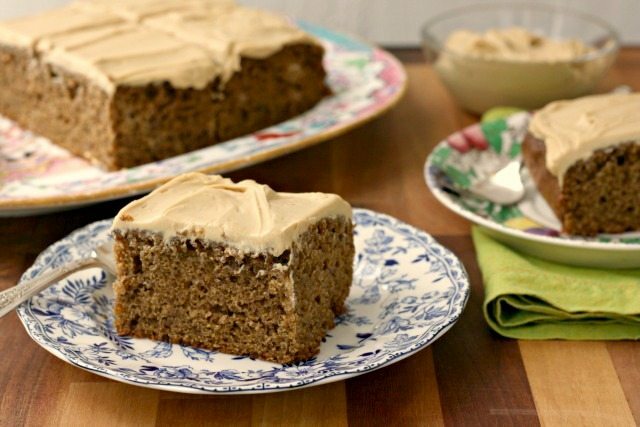 Refined sugar free banana cake is great for snacking but you can also frost it with naturally sweetened cream cheese icing to dress it up a bit. 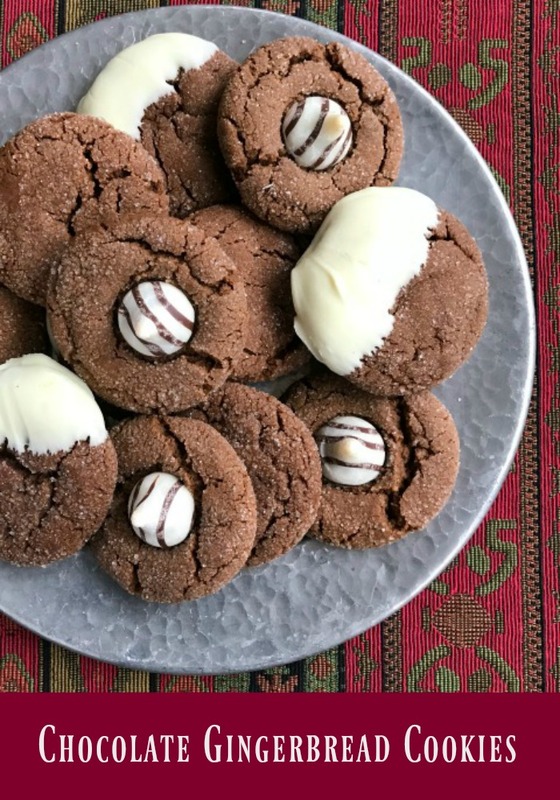 This is one of those classic, old fashioned, soft (but not too soft) molasses cookies. Also known as Long Johns, Moose Hunters, Fat Archie’s and Lumberjacks. This is the kind of muffin that works for breakfast, for school lunches, and for an after school snack. 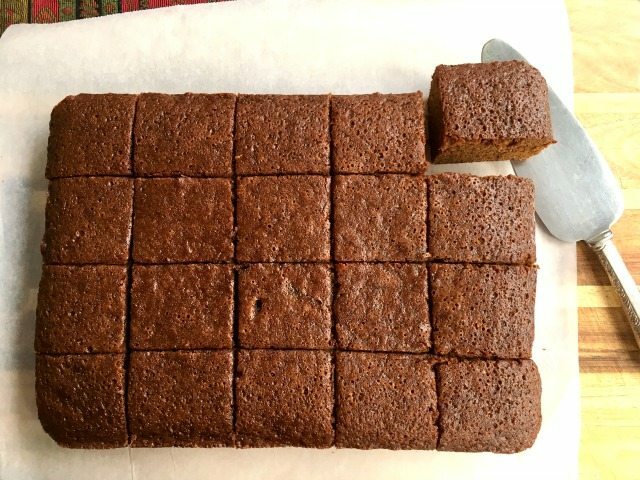 Beautifully spiced and a firm crumb this cake is easy to slice and travels well. Even better, it doesn’t need frosting. Just a sprinkling of icing sugar will dress it up enough. 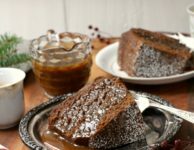 This fresh ginger cake recipe (a true gingerbread) is moist and beautifully spiced with fresh ginger, powdered ginger, cloves, cinnamon and a little pepper. 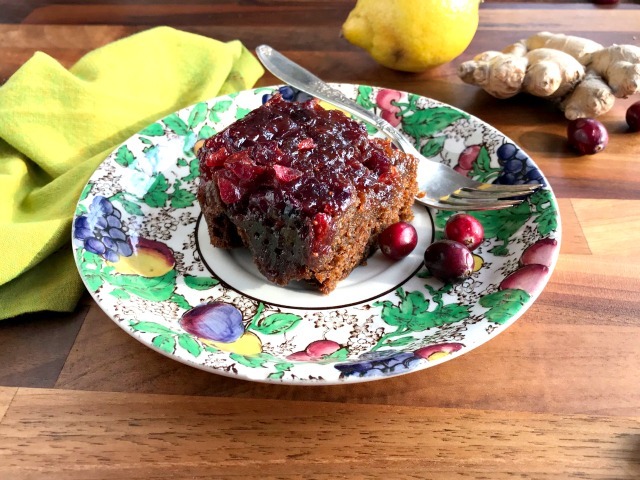 Warmly spiced cakes are cold weather comfort food and the spicier the better when the temperature dips. Winter arrived early on the East Coast and our November cold snap has continued into December. This is gingerbread weather. 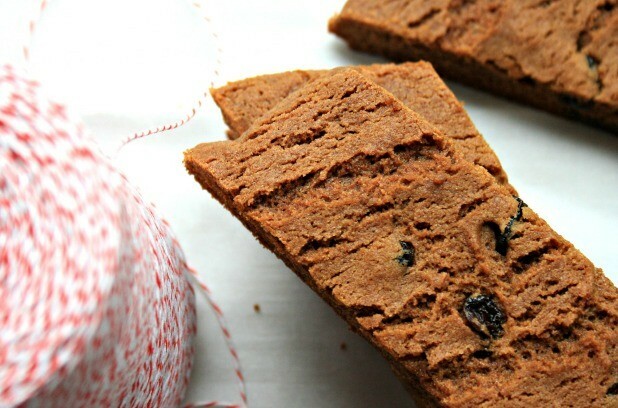 Even the scent of a gingerbread in the oven can make the house feel warmer. This is a recipe from my Aunt Nana, my mom’s sister who loves to share recipes. 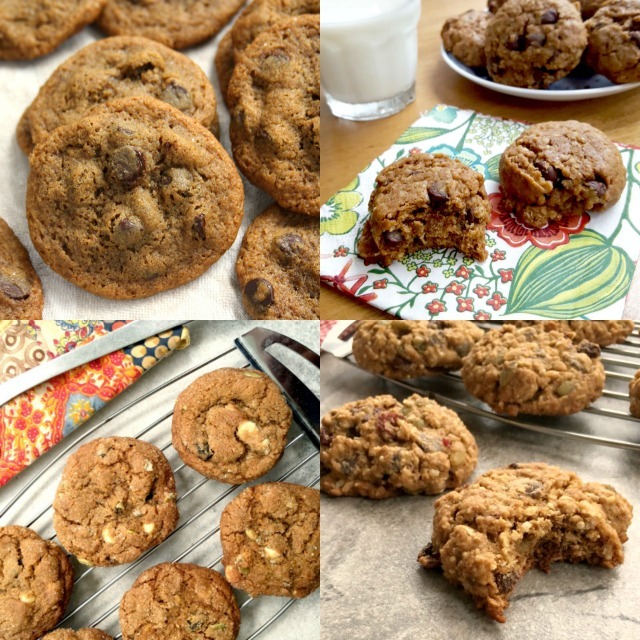 She has a keen eye for recipes that she knows my mom, and the rest of my family, will love. 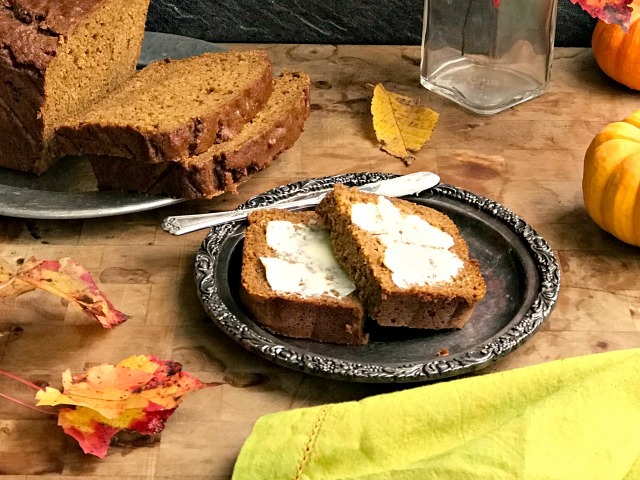 Fresh Ginger Cake has been a great dinner party dessert for us this fall. 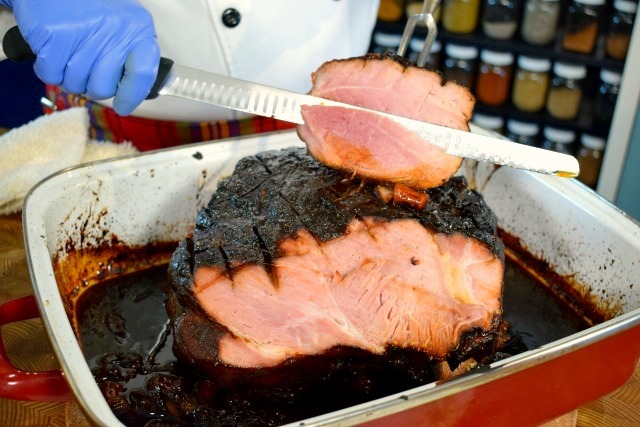 It feeds a crowd and you might have leftovers, which is always a treat. Tip: The recipe calls for the cake to be made in a spring-form pan but more often than not I make it in a tube pan. If you choose a tube pan be sure to grease and flour the pan well. This is an especially moist cake so can be a little tricky to loosen from the centre tube. Serve it with molasses Greek yogurt — add 1-2 Tbsp. 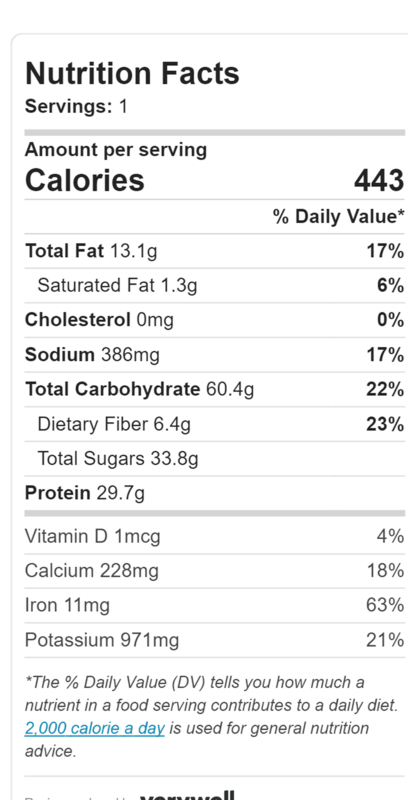 of molasses to each cup of plain Greek yogurt. Preheat oven to 350 F. Grease and flour a 91/2″ spring-form pan and line the bottom with parchment. Or use a large tube pan (see tip). In a medium bowl, combine flour, cinnamon, ginger, cloves and pepper. 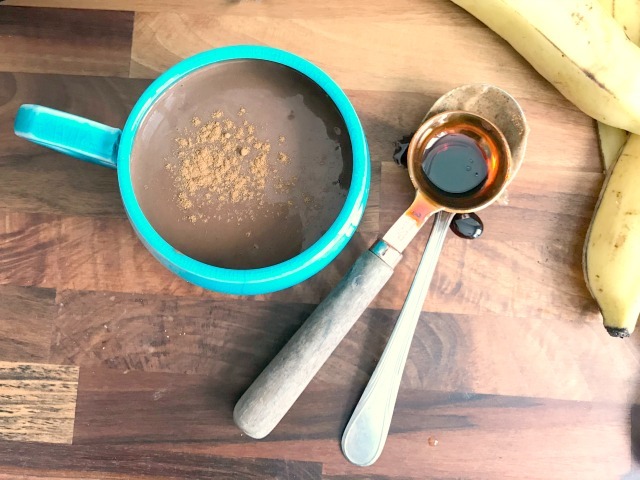 In a large bowl, beat together molasses and sugar. Beat in eggs, one at a time, then carefully beat in the oil and mix until well blended. Add flour mixture and blend until just combined. In small bowl, stir soda into boiling water. Quickly add to batter along with minced ginger. Mix just until blended. 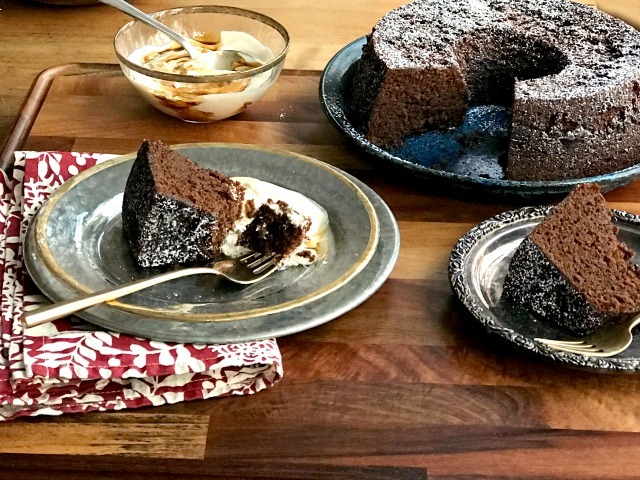 Pour into a greased and floured 9 ½” spring-form pan or bundt pan. Bake about one hour, adding up to 15 min extra if necessary. If top browns to quickly loosely cover with foil. Cool 30 mins in pan on a wire rack. 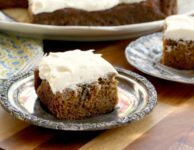 Just in time for the holidays… an updated free Gingerbread eBook features 14 recipes for gingerbread cakes, cookies, candies, muffins and more. 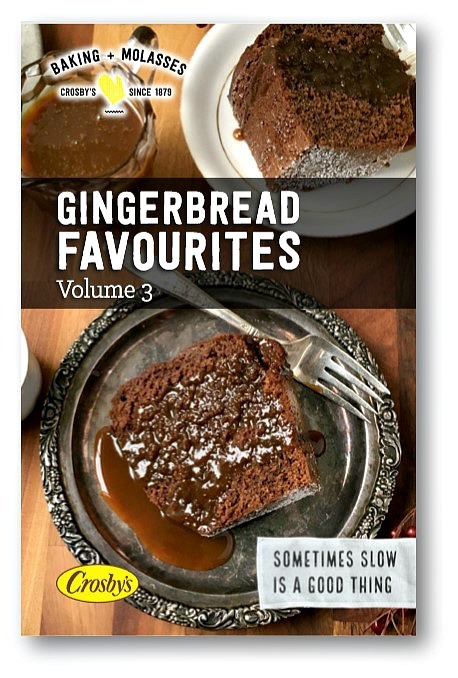 In this newest free gingerbread eBook we have gathered old fashioned favourites and new ways to enjoy gingerbread classics. 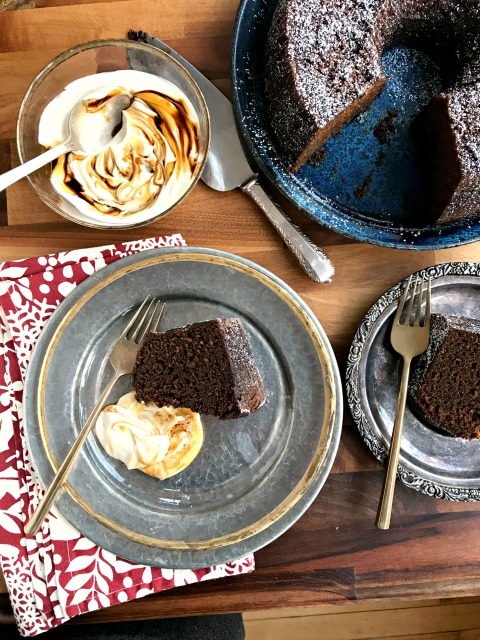 It includes some of our best recipes that we have been sharing for years, and new favourites that we can’t resist (including white chocolate gingerbread fudge and a spiced chocolate gingerbread bundt cake). These new favourite recipes are meant for sharing. Whether you’re gathering around the table, sharing treats with colleagues, or making homemade gifts, our new eBook has everything you need to celebrate the season. Crosbys.com is you best place for everything gingerbread. 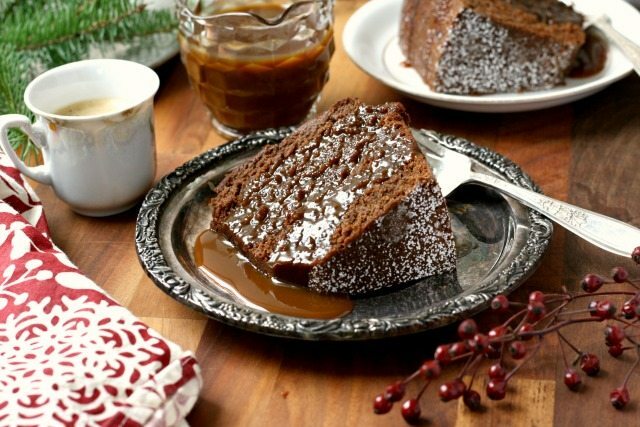 We have dozens of recipes for gingerbread cakes, cookies, warm drinks and more. 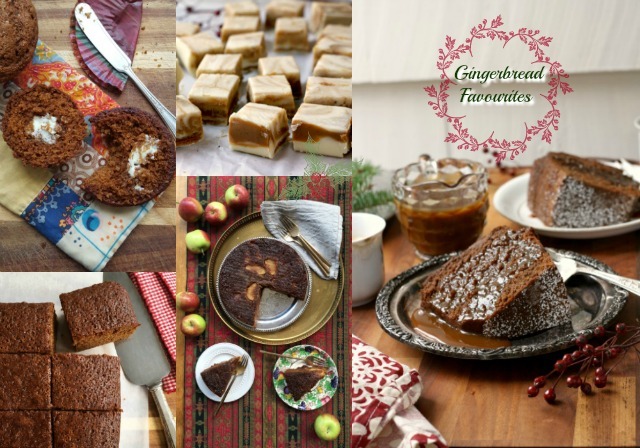 Enjoy our free gingerbread eBooks or visit our All Things Gingerbread page. 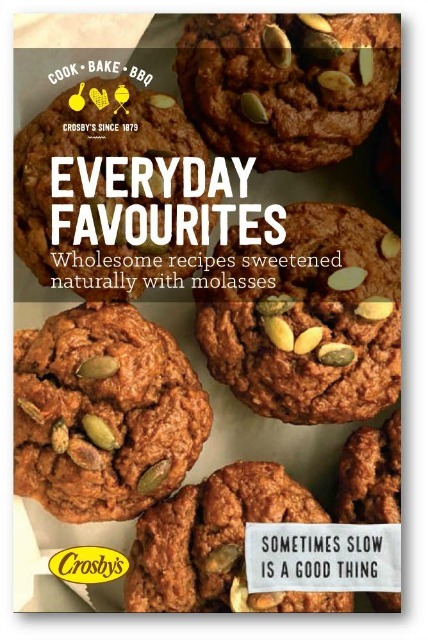 Enjoy our new molasses cookbook (eBook) featuring 29 recipes for everyday favourites. All are family-friendly and well tested. 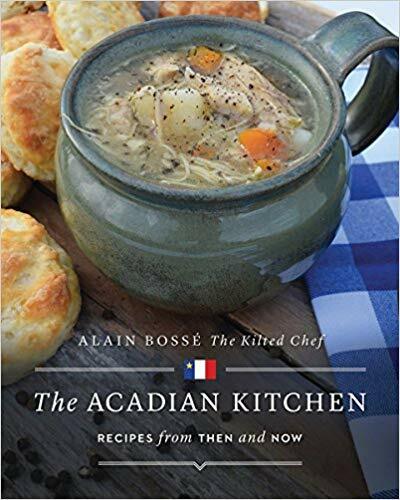 This cookbook features all of my favourite recipes from the past two years. 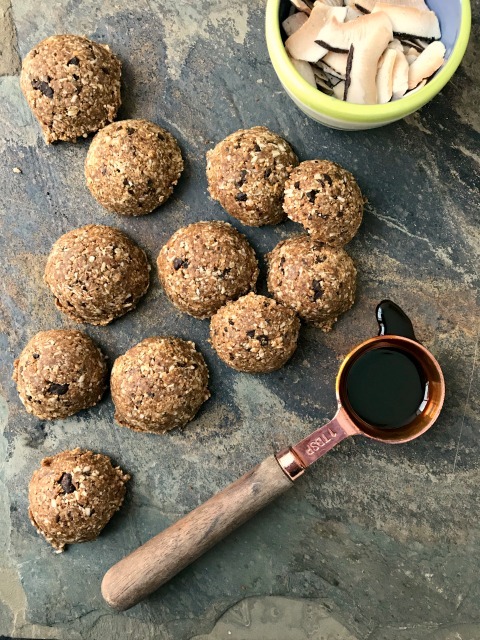 It’s a mixture of recipes for everyday cooking and baking — from muffins, cookies, quick breads and cakes, to main dish meals, sauces and drinks. 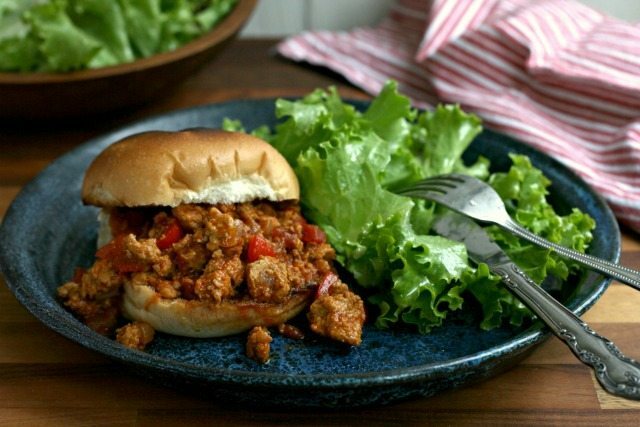 These are the sorts of recipes that can become your go-to recipes. They’re dependable and you know everyone will love them. The book was designed to be easily downloaded and viewed on your computer, tablet and phone. That way you can access the recipes whenever and wherever you need them. 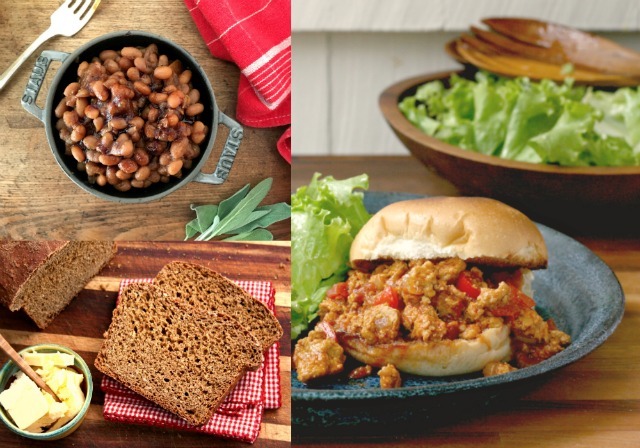 Looking for a 30-minute meal for tonight, or lunch box ideas for the week? You’ll find everything you need in this handy eBook. Intimidated by pastry? No worries. 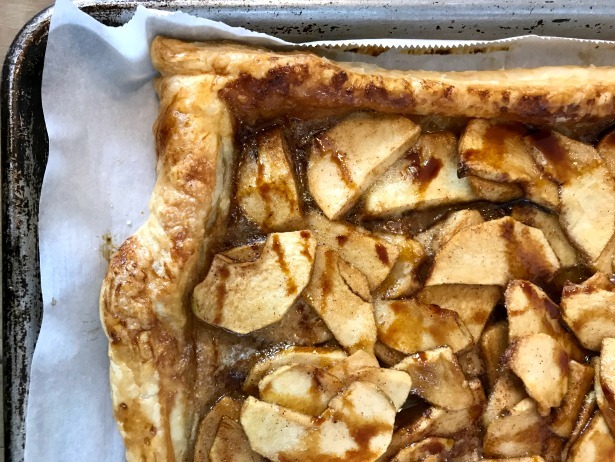 You can make the easiest apple tart using tasty store-bought pastry. 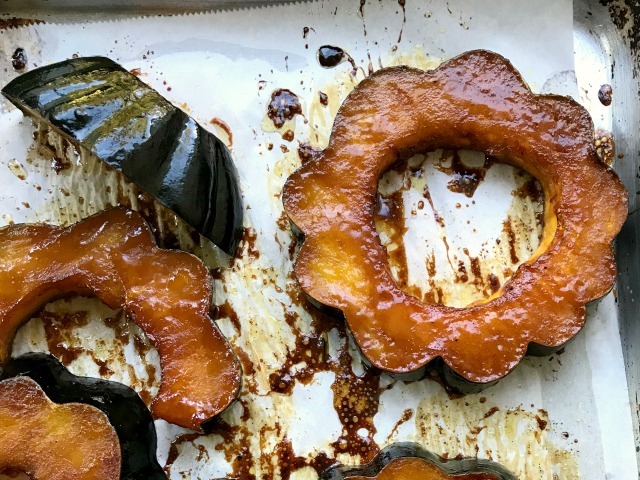 A touch of molasses is the secret ingredient that keeps the apples from drying out and adds that true fall flavour. Anyone can make an apple pie or an apple tart. No need to feel as though this fall classic is out of reach because you “don’t do pastry”. 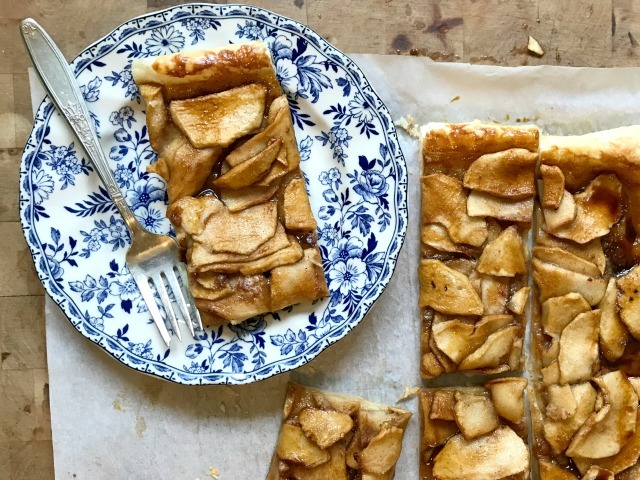 Store-bought puff pastry – especially those made with butter – is the perfect base to make this simple and showy apple tart. This apple tart is extra delicious because the apples are sliced very thin and they’re flavoured with a little molasses. Molasses gives the tart a tangy sweet that suits fall. 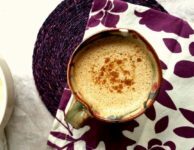 In fact, it adds enough flavour that I don’t even use cinnamon in this recipe. I use a mix of Cortland and Macintosh apples when I bake tarts, pies and galettes. The apples add different flavours and Cortlands hold their shape better than Macintosh apples. It really doesn’t matter though. 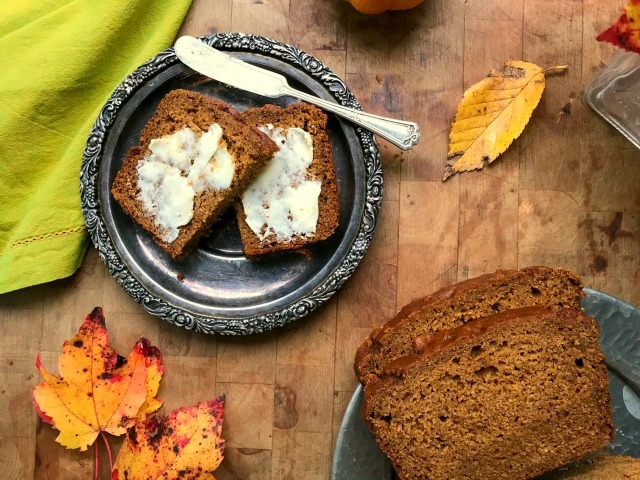 Just use your favourite fall apples in this recipe. Let me explain: After you prep the dough you put it back in the freezer while you get the apples ready. The reason — the colder the pastry when it goes in the oven the flakier it will be when it’s cooked. Thaw puff pastry according to package directions, roll it flat and lay it on a parchment-lined baking sheet. Lightly score each side, about 3/4” from the edge. Place in freezer (on the baking sheet). While the dough chills, toss the apples with the sugar and 1 Tbsp. of the molasses. Whisk yolk with water and brush all over the pastry. Arrange the apples on top of the pastry, staying within the “score” line. Dot with butter and sprinkle over sugar. 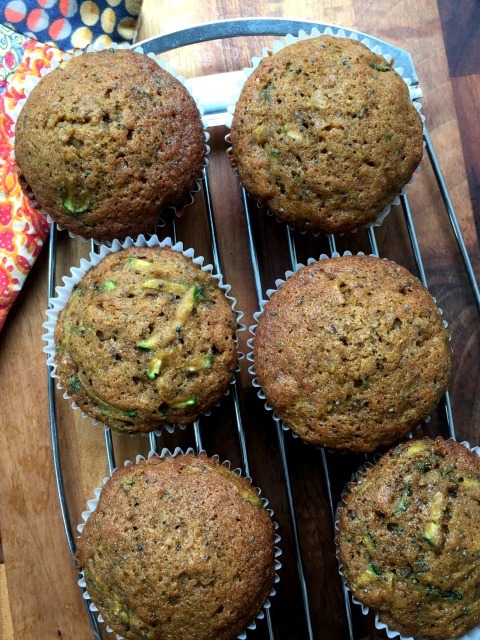 Lemon zucchini muffins are moist and not too sweet. 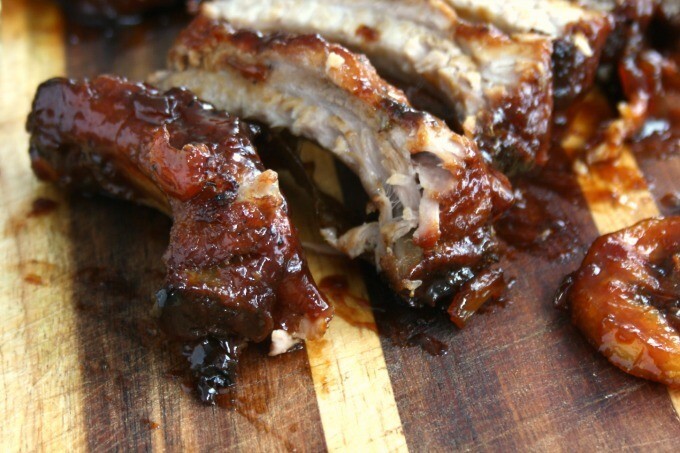 Just a little molasses adds more depth to the flavour and the lemon zest gives them a great lift. Back-to-school is a busy time, even if you don’t have anyone in your house in school. When the calendar turns from August to September I feel as though I’m starting a new year and I have that familiar urge to get organized. I start cleaning out cupboards, organizing recipes and baking for lunches. Like many, my kitchen gets piled high with zucchini in September so my baking becomes another excuse to use it up. These lemon zucchini muffins remind me of a recipe I grew up with. 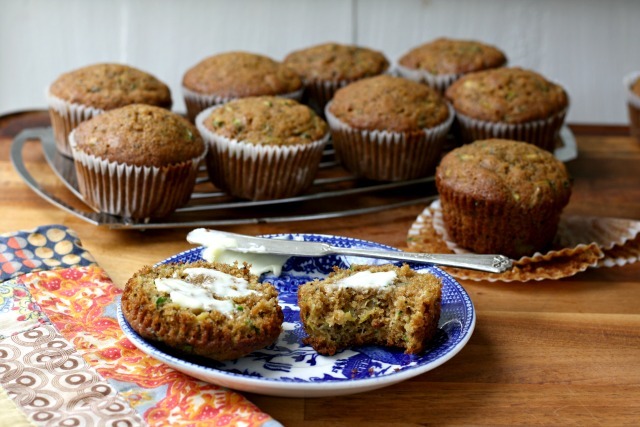 When I was little we’d arrive home from school to fresh muffins cooling on the counter and zucchini muffins were one of mom’s regulars. 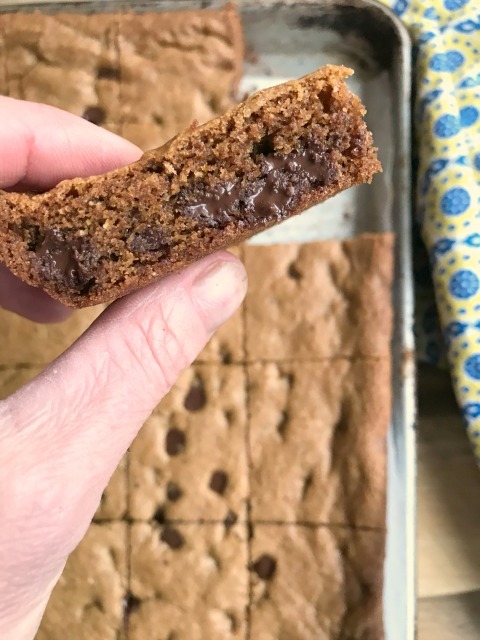 This recipe is less sweet than the recipe from my childhood but it is definitely sweet enough. 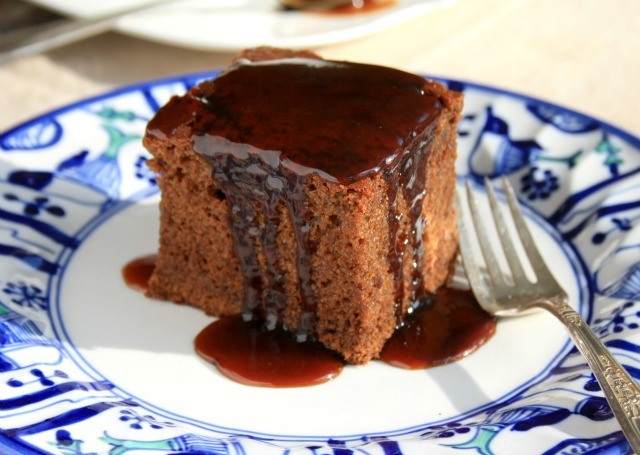 The molasses adds depth to the sweet and the lemon zest gives the flavour a nice lift. Lemon zucchini muffins freeze well but they also last on the counter (in a tin or bag) for a few days. Feel free to add extra zucchini. This recipe can handle up to 1 3/4 cups of grated zucchini. 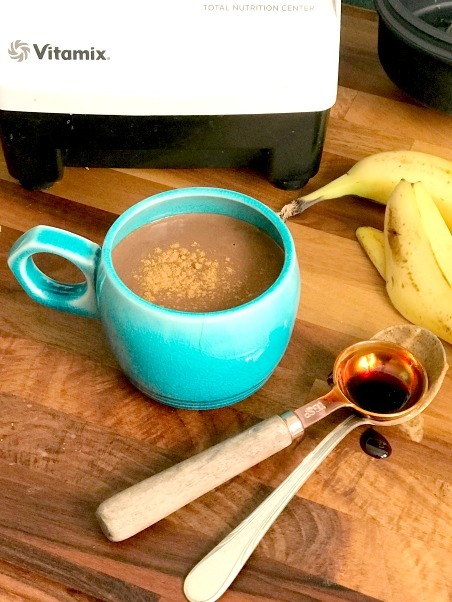 I have reduced the sugar to 1/3 cup in this recipe with good results. 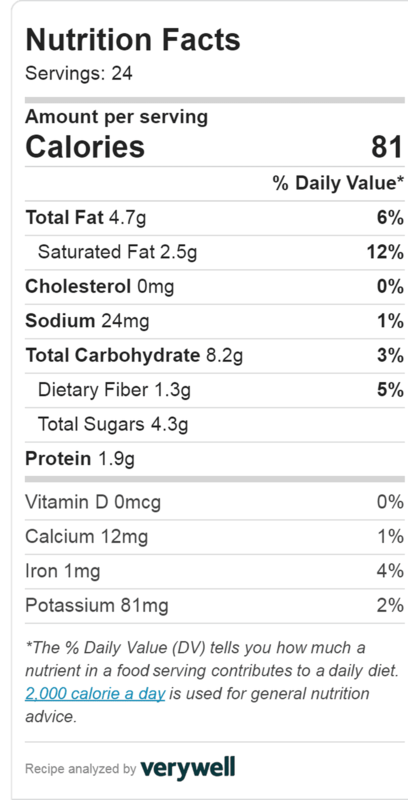 If you prefer your muffins not too sweet then I think you’ll love the lower sugar version. The poppy seeds can be omitted (or replaced with 2 Tbsp. sunflower seeds). Preheat oven to 400 F and line muffin pans with papers or grease them well. Squeeze the zucchini over the sink to get rid of some of the excess moisture. 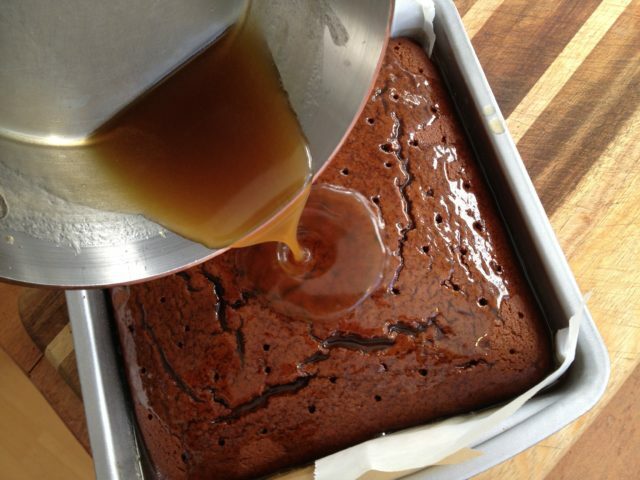 In a medium bowl whisk the sugar with the molasses and oil. Whisk in the eggs then the vanilla and lemon zest. Stir in the zucchini. Gently fold wet ingredients into the flour mixture and stir until almost combined. 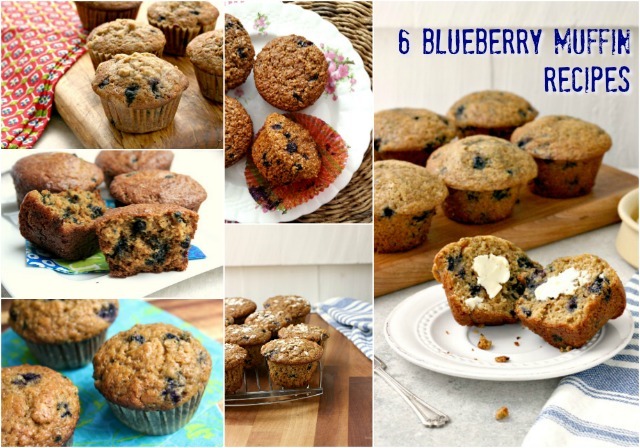 Place muffins in oven and immediately reduce the temperature to 375 F.
Find a new favourite blueberry muffin recipe among these 6 wholesome favourites. When I was growing up our family always took vacation the last week of August. After a summer of swimming in the river, our holiday destination was always the ocean and the long drive to our rental house took us through miles of wild blueberry fields in Southern New Brunswick and then into Maine. Our holiday always coincided with the blueberry harvest so on the way back home we’d stop along the way to buy several 10 lb boxes of fresh wild blueberries. We’d eat the berries by the handful and get our fill before everything went into the big freezer at home. It’s probably no surprise that my summer vacation routine is very similar. My family and I head to the ocean, not too far from the beaches I visited as a child. We drive past the same wild blueberry fields and load up on boxes of wild blueberries from those very fields. Of all the things I bake with wild blueberries, my favourite are blueberry muffins. The taste and texture that blueberries add to a muffin takes me right back to childhood. 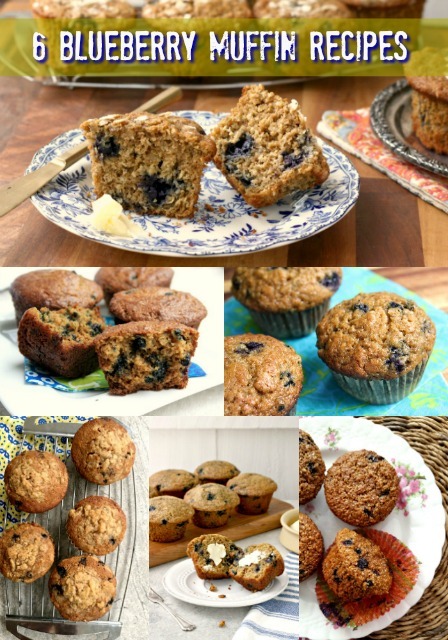 Over the years I have posted a great variety of blueberry muffin recipes on this blog, and I’m sure there are many more to come. 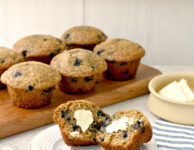 In the meantime, give some of these – our best blueberry muffin recipes – a try and let me know what you think. This is an adaptation of the blueberry muffin recipe I grew up with. An old recipe from the Crosby’s recipe archives. An adaptation of an Ina Garten recipe. 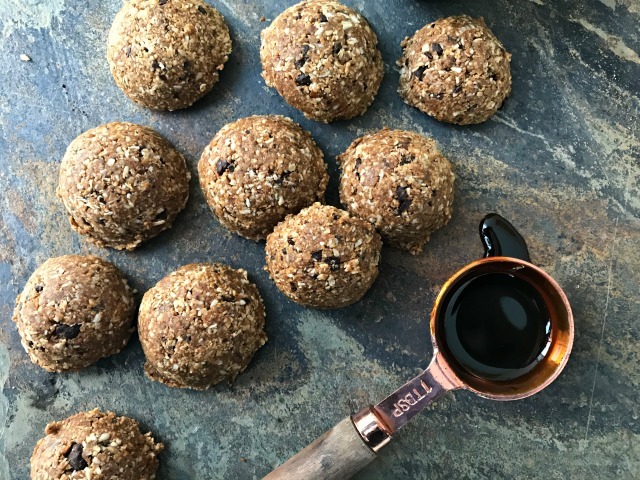 A favourite refined sugar-free recipe. 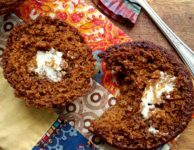 This is a variation of my sister’s extra healthy (and famous) wheat germ muffins. 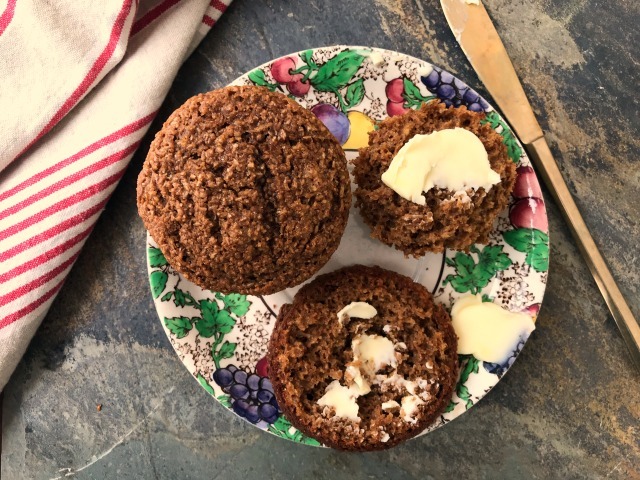 The muffins are wholesome, stuffed with all sorts of good things like whole wheat flour, cornmeal, carrots and blueberries. 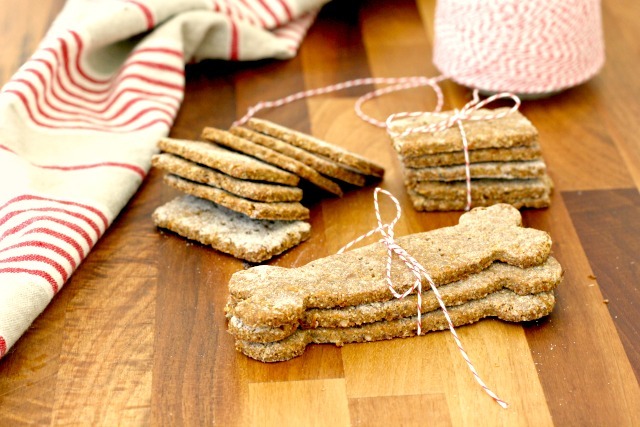 Cornmeal molasses dog treats are a wholesome snack for your furry friend. They’re easy to make and tasty for people too. At farmer’s markets I always admire the homemade dog treats. They look so wholesome that I’m temped to buy them, even though we don’t have a dog right now. While we await our puppy (still a few months off — fingers crossed) I thought it time to practice baking for a family addition of the furry kind, especially since my oldest child will be heading away to university next month so there will be fewer of us in the house to eat my regular baking. I love the bone-shaped version but cutting them into little crackers is much more practical. 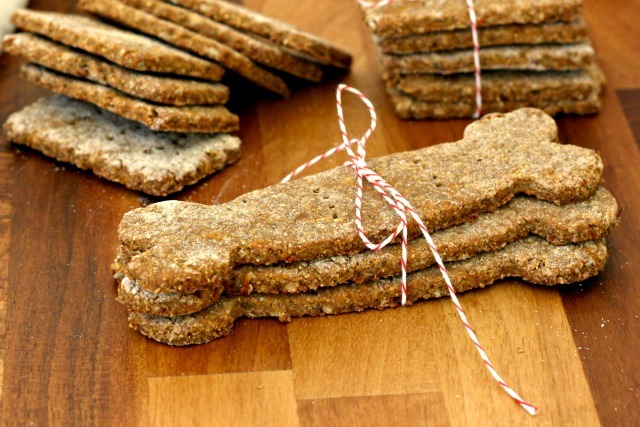 Tip from a reader: “Many dogs have corn allergies, so substitute cornmeal with rice flour, oat flour, or kamut flour…..works great.” Another reader suggested chickpea flour in place of the wheat flour for dogs with allergies. Scrap onto a lightly floured surface and gather into a ball. Roll to ¼” thick and cut into shapes. Prick with the tines of a fork then bake 15-20 minutes until golden. Store in a tin for up to two weeks. This recipe freezes well. 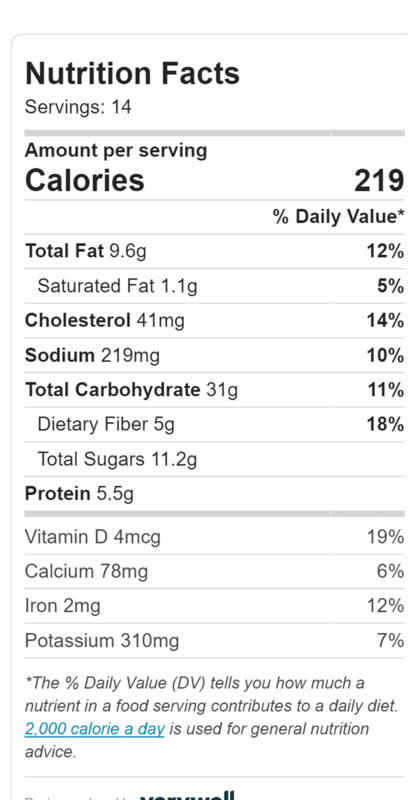 *Can replace cornmeal with oat flour or rice flour. **Grate carrots on a box grater, either the large hole or the medium size.